"Optical Manipulation of Sphingolipid Biosynthesis Using Photoswitchable Ceramides" Kol, M.; Williams, B.; Toombs-Ruane, H.; Franquelim, H. G.; Korneev, S.; Schroeer, C.; Schwille, P.; Trauner, D.; Holthuis, J. C. M.; Frank, J., A elife 2019; 8:e43230. "Concise Asymmetric Synthesis of Kweichowenol A" Konrad, D.; Kincin, B.; Trauner, D. Synlett 2018, 29, A–D. "A Biomimetic Approach Toward Enterocin and Deoxyenterocin" Rizzo, A.; Mayer, R.; Trauner, D. JOC 2019, 84, 3, 1162-1175. "Light-Controlled Lipid Interaction and Membrane Organization in Photolipid Bilayer Vesicles" Urban, P.; Pritzl, S., D.; Konrad, D., B.; Frank, J., A., Pernpeintner, C.; Roeske, C., R.; Trauner, D.; Lohmüller Langmuir 2018, 34, 13368-13374. "Optical tools for understanding the complexity of β-cell signalling and insulin release" Frank, J. A.; Broichhagen, J.; Yushchenko, D., A.; Trauner, D.; Schultz, C.; Hodson, D., J. Nat Rev Endocrinol 2018, 14, 721-737. "Biomimetic Synthesis of (+)‐Aspergillin PZ" Reyes, J., Winter, N., Spessert, L., Trauner, D., Angew. Chem. Int. Ed. 2018, 57, 15587-15591. 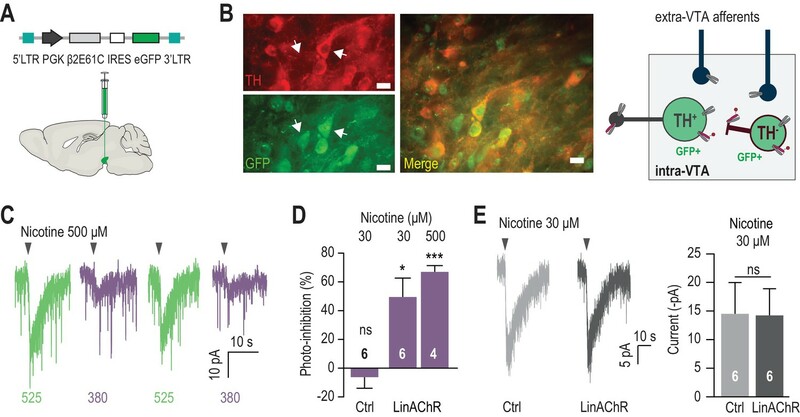 "Manipulating midbrain dopamine neurons and reward-related behaviors with light-controllable nicotinic acetylcholine receptors" Durand-de Cuttoli, R.; Mondo,loni, S.; Marti, F.; Lemoine, D.; Nguyen, C.; Naude, J.; D'Izarnt-Gargas, T.; Pons, S.; Maskos, U.; Trauner, D.; Kramer, R., H.; Faure, P.; Mourot, A. elife, 2018, e37487. "Optical Control of a Delayed Rectifier and a Two-Pore Potassium Channel with a Photoswitchable Bupivacaine" Leippe, P.; Winter, N.; Sumser, M., P. ACS Chem. Neurosci. 2018, Article ASAP. “A Versatile Bis-Allylboron Reagent for the Stereoselective Synthesis of Chiral Diols” Hetzler, B. E.; Volpin, G.; Vignoni, E.; Petrovic, A. P.; Proni, G; Chunhua, T, H.; Trauner, D.* Angew. Chem. Int. Ed. 2018, 57, 14276-14280. "Optical Control of L-Type Ca2+ Channels Using a Diltiazem Photoswitch" Fehrentz,T. ; Huber, F. M. E.; Vrielink, N.; Bruegmann, T.; Frank, J. A.; Fine, N. H. F.; Malan, D.; Danzl, J. G.; Tikhonov, D. B.; Sasse, P.; Hodson, D. J.; Zhorov. B. S.; Klöcker, N.*; Trauner, D.* Nature Chem. Biol. 2018, 14, 764-767. "In Vivo Photopharmacology" Hüll, K.; Morstein, J.; Trauner, D. Chem. Rev. 2018, 118, 10710-10747. "Total Synthesis of (±)-­Exotine B". Cheng, B.; Volpin, G.; Morstein, J.; Trauner., D. Org. Lett. 2018, 20, 4358-4361. Toward (−)-Enterocin: An Improved Cuprate Barbier Protocol To Overcome Strain and Sterical Hindrance" Rizzo. A.; Trauner, D. Org. Lett. 2018, 20, 1841-1844. "Total Synthesis of the Norhasubanan Alkaloid Stephadiamine"Hartrampf, N.; Winter, N.; Pupo, G.; Stoltz, B.; Trauner, D.* J. Am. Chem. Soc. 2018, 140, 8675-8680. "Azomethine Ylide Cycloaddition Approach toward Dendrobine: Synthesis of 5-Deoxymubironine C" Williams, B. M.; Trauner D. J. Org. Chem. 2018, 83, 3061-3068. "Conditional and Reversible Activation of Class A and B G Protein-Coupled Receptors Using Tethered Pharmacology" Podewin, T.; Ast, J.; Broichhagen, J.; Fine, N. H. F.; Nateska, J.; Leippe, P.; Gailer, M.; Buenaventura, T.; Kanda. N.; Jones, B. J.; M’Kadmi, Z.; Baneres, J.-L.; Marie, J.; Tomas, A.; Trauner, D.;* Hoffmann-Röder, A.,* Hodson, D. J. * ACS Cent. Sci. 2018, 4, 166-179. "A Predictive Approach for the Optical Control of Carbonic Anhydrase II Activity" DuBay, K. H.; Iwan, K.; Osorio-Planes, L.; Geissler, P. L.; Groll, M.; Trauner, D.; Broichhagen, J. ACS Chem. Biol. 2018, 13, 793-800. "SNAP-Tagged Nanobodies Enable Reversible Optical Control of a G Protein-Coupled Receptor via a Remotely Tethered Photoswitchable Ligand" Farrants, H.; Acosta Ruiz, A.; Gutzeit, V. A.; Trauner, D.; Johnsson, K.; Levitz, J.; Broichhagen, J. ACS Chem. Biol. 2018, 9, 2682-2688. "Optical Control of a Biological Reaction–Diffusion System" Glock, P.; Broichhagen, J.; Kretschmer, S.; Blumhardt, P.; Mücksch, J.; Trauner, D.*; Schwille, P.* Ange. Chem. Int. Ed. 2018, 57, 2362-2366. "Selective Synthesis of Divergolide I" Terwilliger, D.; Trauner, D. J. Am. Chem. Soc. 2018, 140, 2748-2751. "Reversible Optical Control of F1F0-ATP Synthase Using Photoswitchable Inhibitors" Eisel, B.; Hartrampf, F. W. W.: Meier, T.;* Trauner, D.* FEBS Letters 2018, 592, 343–355. Donthamsetti, P., C.; Winter, N.; Schönberger, M,; Levitz., J.; Stanley, C.; Javitch, J., A.; ISacoff, E., Y.; Trauner, D. J. Am. Chem. Soc., 2017, 139, 18522–18535. 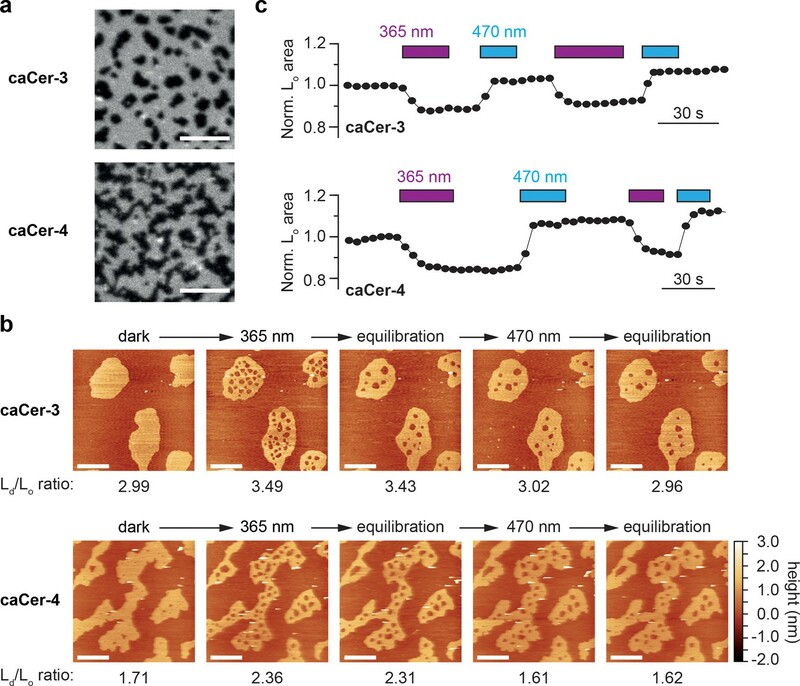 "Restoration of patterned vision with an engineered photoactivatable G protein-coupled receptor" Berry, M., H.; Holt, A.; Levitz, J.; Broichhagen, J.; Gaub, B., M.; Visel, M.; Stanley, C.; Aghi, K.; Kim, J., J.; Cao. K.; Kramer, R., H.; Trauner, D.; Flannery, J.; Isacoff, E., Y.; Nat. Communications 2017, 1862. "The Chemist and the Architect" Trauner, D. Angew. Chem. Int. Ed. 2018, 57, 4177-4191. 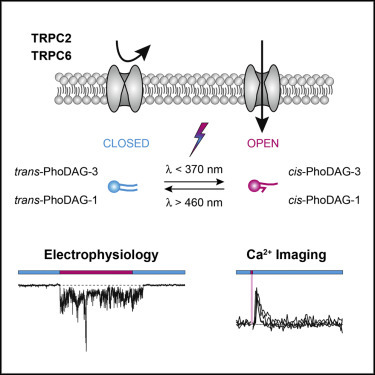 "PhoDAGs Enable Optical Control of Diacylglycerol-Sensitive Transient Receptor Potential Channels" Trese Leinders-Zufall, T.; Storch, U.; Bleymehl, K.; Mederos y Schnitzler, M.; Frank, J.: Konrad, D.; Trauner, D.; Gudermann, T.; Zufall, F. Cell Chemical Biology 2017, 25, 215-223. "Synthesis of Photoswitchable Δ9-Tetrahydrocannabinol Derivatives Enables Optical Control of Cannabinoid Receptor 1 Signaling" Westphal, M.; Schafroth, M.A. ; Sarott, R.; Imhof, M.; Bold, C.; Leippe, P.; Dhopeshwarkar, A.; Grandner, J.; Katritch, V.; Mackie, K.; Trauner, D.;* Carreira, E. M.;* Frank, J. A. * J. Am. Chem. Soc. 2017, 139, 18206-18212. "Specificity and Speed: Tethered Photopharmacology" Leippe, P.; Koehler-Lemann, J.; Trauner, D. Biochemistry 2017, 56, 5214-5220. "Optical Control of GPR40 Signaling in Pancreatic β-Cells" Frank, J. A.; Yushchenko, D.; Hine, N. N. F.; Duca, M.; Citir, M.; Broichhagen, J.; Hodson,* D. A.; Schultz, C.;* Trauner. D.* Chem.Sci. 2017, 8, 7604-7610. "Total Synthesis of Crocagin A" Bihelovic, F.; Stichnoth, D.; Surup, F.; Müller, R.; Trauner, D. Angew. Chem. Int. Ed. 2017, 56, 13028-13031. "Biomimetic Synthesis of Complex Flavonoids Isolated From Daemonorops ‘Dragon's Blood’" Schmid, M.; Trauner, D. Angew. Chem. Int. Ed. 2017, 56, 12332-12335. "Thiocarbonyl Ylide Chemistry Enables a Concise Synthesis of (±)-Hippolachnin A " Winter, N.; Trauner, D. J. Am. Chem. Soc., 2017, 139, 11706–11709. "Total Synthesis of Lycopladine A and Carinatine A via a Base-Mediated Carbocyclization" Hartrampf, F.; Trauner, D. J. Org. Chem. 2017, 82, 8206-8212. 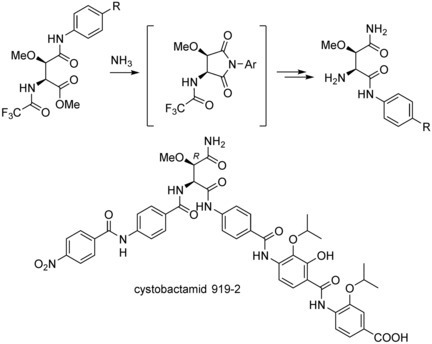 "Total Syntheses of Cystobactamids and Structural Confirmation of Cystobactamid 919-2" Cheng, B.; Müller, R.; Trauner, D. Angew. Chem. Int. Ed. 2017, 56, 12755-12759. "Wild-type Monomeric α-Synuclein Can Impair Vesicle Endocytosis and Aynaptic Fidelity via Tubulin Polymerization at the Calyx of Held " Eguchi, K.; Taoufiq, Z.; Thorn-Seshold, O.; Trauner, D.; Hasegawa, M.; Takahashi, T.; J. Neurosci. 2017, 37, 6043-6052. 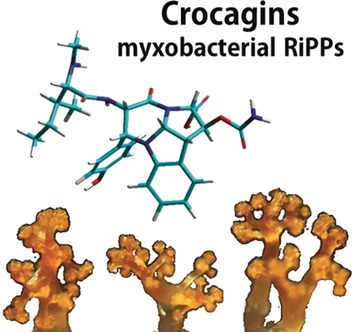 "Structure and Biosynthesis of Crocagins: Polycyclic Posttranslationally Modified Ribosomal Peptides from Chondromyces crocatus". Viehrig, K.: Surup, F.: Volz, C.: Herrmann, J.: Abou Fayad, A.: Adam, S.; Köhnke, J.; Trauner, D.: Mūller, R. Angew. Chem. Int. Ed. 2017, 56, 7407-7410. "A Photoswitchable Inhibitor of a Glutamate Transporter" Cheng. B.; Shchepakin, B.; Kavanaugh, M.;* Trauner, D.* ACS Chem Neurosci. 2017, 8, 1668-1672. "Light-Controlled Membrane Mechanics and Shape Transitions of Photoswitchable Lipid Vesicles" Pernpeintner, C.; Frank, J. A.; Urban, P.; Roeske, C. R.; Pritzl, S. D.; Trauner, D.;* Lohmüller, T.* Langmuir, 2017, 33, 4083-4089. "Optical Control of a Receptor-linked Guanylyl Cyclase Using a Photoswitchable Peptidic Hormone" Podewin, T.; Broichhagen, J.; Frost, C.; Groneberg, D.; Ast, J.; Meyer-Berg, H.; Fine, N. H. F.; Friebe, A.; Zacharias, M.; Hodson, D. J.; Trauner, D.;* Hoffmann-Röder, A.*Chem. Sci. 2017, 8, 4644-4653. "Remote Control of Glucose Homeostasis in vivo Using Photopharmacology" Mehta, Z. B.; Johnston, N. R.; Nguyen-Tu, M.-S.; Broichhagen, J.; Schultz, P.; Larner, D. P.; Leclerc, I.; Trauner, D;* Rutter, G. A.;* Hodson, D. J. * Sci. Rep. 2017, 7, 291, DOI: 10.1038/s41598- 017-00397-0. "Unravelling Photochemical Relationships Amongst Natural Products from Aplysia dactylomela" Matsuura, B. S.; Kölle, P.; de Vivie-Riedle, R.*; Trauner, D.*; Meier, R.* ACS Central Sci. 2017, 3, 39-46. "A Conia-Ene-Type Cyclization Under Basic Conditions Enables an Efficient Synthesis of (−)-Lycoposerramine R" Hartrampf, F.; Furukawa, T.; Trauner, D. Angew. Chem. Int. Ed.2017, 56, 893-896. Optical Control of GIRK Channels Using Visible Light" Trads, J. B.; Burgstaller, J.; Laprell, L.; Konrad, D. B.; de la Osa de la Rosa, L.; Weaver, C. D.; Trauner. D.*; Barber, D.* Org. Biomol. Chem. 2017, 15, 76-81. "Optical Control of Lipid Rafts with Photoswitchable Ceramides" Frank, J. A.; Franquelim, H. A.; Schwille, P.*; Trauner. D.* J. Am. Chem. Soc. 2016, 138, 12981-12986. "Optical Control of AMPA Receptors Using a Photoswitchable Quinoxaline-2,3-dione Antagonist" Barber, D. M.; Liu, S.-A. ; Gottschling, K.; Sumser, M.; Hollmann, M.; Trauner, D. Chem. Sci. 2017, 8, 611-615. "Allosteric Optical Control of a Class B G-Protein-Coupled Receptor" Broichhagen, J., Johnston, N., R., Von Ohlen, Y., Meyer-Berg, H., Jones, B., J., Bloom, S., R., Rutter, G., A., Trauner. D., Hodson, D., J., Angew. Chem. Int. Ed. 2016, 5865-5868. 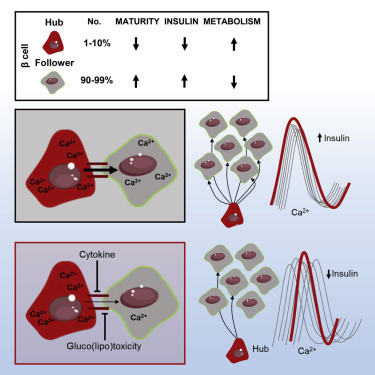 "Beta Cell Hubs Dictate Pancreatic Islet Responses to Glucose" Johnston, N. R.; Mitchell, R. K.; Haythorne, E.; Paiva Pessoa, M.; Semplici, F.; Ferrer, J.; Piemonti, L.; Marchetti, P.; Bugliani, M.; Bosco, D.; Berishvili, E.; Duncanson, P.; Watkinson, M.; Broichhagen, J.; Trauner, D.; Rutter, G. A.; Hodson, D. J. Cell Metab. 2016, 24, 389-401. "Photoswitchable Diacylglycerols Enable Optical Control of Protein Kinase C" Frank, J. A.; Yushchenko, D.; Hodson, D. A.; Lipstein, N.; Nagpal, J.; Rutter, G. A.; Rhee, J.-S.; Gottschalk, A.; Brose, N.; Schultz, C.; Trauner. D. Nature Chem. Biol. 2016, 12, 755-762. "A Synthesis of (±)-Aplydactone" Meier, R., Trauner, D. Angew. Chem. Int. Ed. 2016, 55, 11251-11255. Damijonaitis, A.; Barber, D. M.; Trauner, D. The Photopharmacology of Nicotinic Acetylcholine Receptors. Neurotransmitter 3, 1292 (2016). "A Family of Photoswitchable NMDA Receptors" Berlin, S.; Szobota, S.; Reiner, A.; Kienzler, M. A.; Guyon, A.; Trauner. D.; Isacoff. E. Y. eLife 2016, e12040, DOI: 10.7554/eLife.12040. "Synthesis of Red-shifted Azobenzene Photoswitches via Late-Stage Functionalization" Konrad, D.; Frank, J. A.; Trauner, D. Chem. Eur. J. 2016, 22, 4364-4368. “6-[6-(Pyridin-2-yl)-1,2,4,5-tetrazin-3-yl]pyridin-3-amine monohydrate” Broichhagen, J.; Klingl, Y. E.; Trauner, D.; Mayer, P. Acta Cryst. 2016, E72, 238-240. 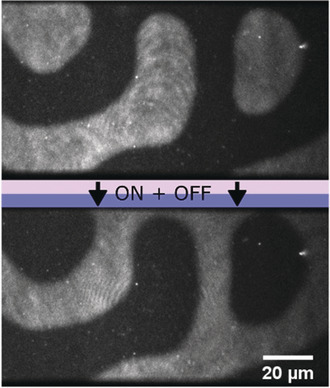 "Optical Control of Neuronal Activity Using a Light Operated GIRK-Channel Opener (LOGO)" Barber, D.; Schönberger, M.; Burgstaller, J.; Levitz, J.; Weaver, C. D.; Isacoff, E. Y.; Baier, H.; Trauner. D. Chem. Sci. 2016, 7, 2347-2352. "Expedient Synthesis of Lycopalhine A" Williams. B., Trauner, D.* Angew. Chemie Int. Ed. 2016, 55, 2191-2194. "Synthetic Approaches Towards Alkaloids Bearing a-Tertiary Amines" Hager, A.; Vrielink, N.; Hager, D.; Lefranc, J.; Trauner, D. Nat. Prod. Rep. 2016, 33, 491-522. 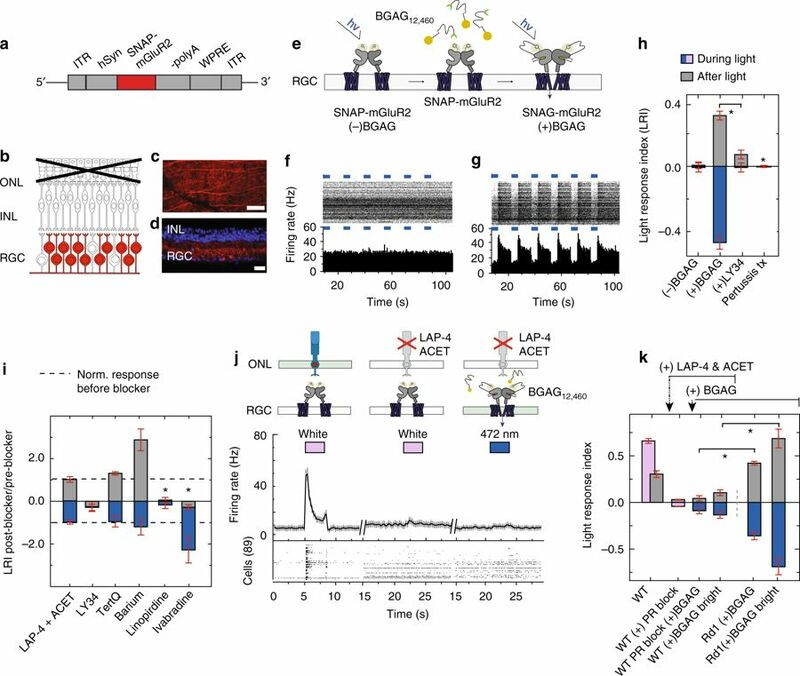 "Inter-Kingdom Signaling by the Legionella Quorum Sensing Molecule LAI-1 Modulates Cell Migration through an IQGAP1-Cdc42-ARHGEF9-Dependent Pathway" Simon, S.; Schell, U.; Heuer, N.; Hager, D.; Albers, M. F.; Matthias, J.; Fahrnbauer, F.; Trauner, D.; Eichinger, L.; Hedberg, C.; Hilbi, H. PLOS Pathogens 2015, 11, e1005307. "Restoring Light Sensitivity in Blind Retinae Using a Photochromic AMPA Receptor Agonist" Laprell, L.; Hüll, K.; Stawski, P.; Schön, C.; Michalakis, S.; Biel, M.; Sumser, M. P.; Trauner, D. ACS Chem. Neurosci. 2016, 7, 15-20. 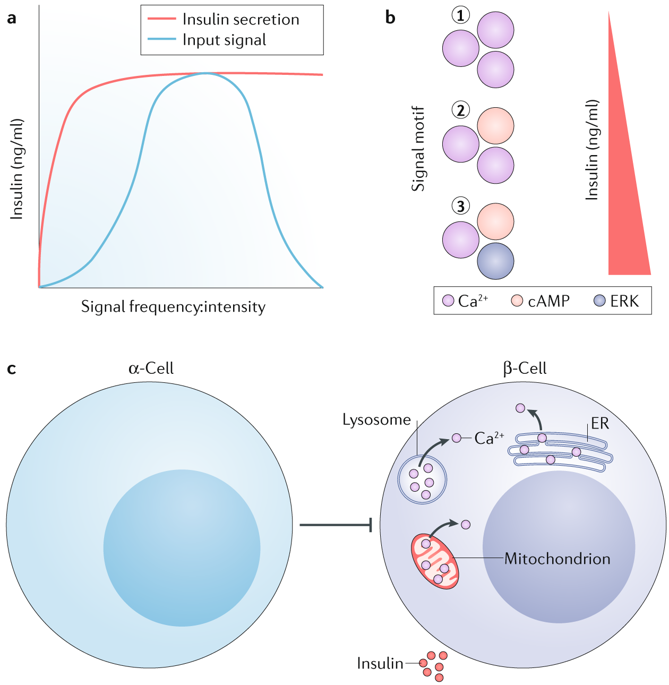 "Optical Control of Insulin Secretion Using an Incretin Switch" Broichhagen, J.; Podewin T.; Meyer-Berg, H.; von Ohlen, Y.; Johnston, N. R.; Jones, B. J.; Bloom, S. R.; Rutter, G. A.; Hoffmann-Röder, A. *; Hodson, D. J. *; Trauner. D.* Angew. Chem. Int. Ed. 2015, 54, 15565-15569. "A Highly Convergent and Biomimetic Total Synthesis of Portentol" Cheng, B.; Trauner, D.J. Am. Chem. Soc. 2015, 137, 13800-13803. "Orthogonal Optical Control of a G Protein-Coupled Receptor With a SNAP-Tethered Photochromic Ligand" Broichhagen, J.; Damijonaitis, A.; Levitz, J.; Sokol, K. R.; Leippe, P.; Konrad, D.; Isacoff, E. Y.; Trauner, D. ACS Central Sci. 2015, 1, 383-393. "Light-Dark Adaptation of Channelrhodopsin Involves Photoconversion Between the all-trans and 13-cis Retinal Isomers" Bruun, S.; Stoeppler, D.; Keidel. A.; Kuhlmann, U.; Luck, M.; Diehl, A.; Geiger M.A. ; Woodmansee, D.; Trauner, D., Hegemann, P.; Oschkinat H.; Hildebrandt, P.; Stehfest, K. Biochemistry 2015, 54, 5389-5400. An Eight-Step Synthesis of Epicolactone Reveals its Biosynthetic Origin" Ellerbrock, P.; Armanino. N.; Ilg. M. K.; Webster, R.; Trauner, D. Nature Chemistry 2015, 7, 879-882. "Molecular Dynamics Investigation of Gluazo, a Photo-Switchable Ligand for the Glutamate" Guo, Y.; Wolter, T.; Kubař, T.; Sumser, M.; Trauner, D.; Elstner, M. PLoS One 2015, 10, e0135399. "Optical Control of NMDA-Receptors With a Diffusible Photoswitch" Laprell, L.; Repak, E.; Franckevicius, V.; Hartrampf, F.; Terhag, J.; Hollmann. M.; Sumser, M.; Rebola, N., DiGregorio, D.*; Trauner, D.* Nature Commun. 2015, 6, 8076. 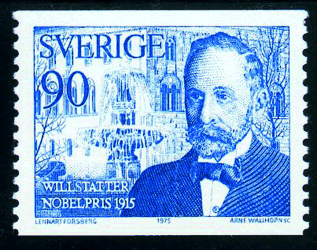 "Richard Willstätter and the 1915 Nobel Prize in Chemistry" Trauner, D. Angew. Chem. Int. Ed. 2015, 54, 11910-11916. "Azobenzene-Based Inhibitors of Human Carbonic Anhydrase II" Runtsch, L. S.; Barber, D. M.; Mayer, P.; Groll, M.; Trauner, D.; Broichhagen, J. Beilstein J. Org. Chem. 2014, 11, 1129-1135. "Photoswitchable Inhibitors of Microtubule Dynamics Optically Control Mitosis and Cell Death" Borowiak, M.; Nahaboo, W.; Reynders, M.; Nekolla, K.; Jalinot, P.; Hasserodt, J.; Rehberg, M.; Delattre, M.; Zahler, S.; Vollmar, A.; Trauner, D.*; Thorn-Seshold, O. * Cell 2015, 162, 403-411. "Vacuolar-ATPase Inhibition Blocks Iron Metabolism to Mediate Therapeutic Effects in Breast Cancer" Schneider, L. S.; von Schwarzenberg, K.; Lehr, T.; Ulrich, M.; Kubisch- Dohmen, R.; Liebl, J.; Trauner, D.; Menche, D.; Vollmar, A. M. Cancer Res. 2015, 75, 2863-2874. Evolution of a Unified Strategy for Complex Sesterterpenoids: Progress toward Astellatol and Total Synthesis of (−)-Nitidasin" Hog, D. T.; Huber, F. M. E.; Jiménez-Osés, G.*; Mayer, P.; Houk, K. N., Trauner, D.* Chem. Eur. J., 2015, 21, 13646-13665. "A Roadmap to Success in Photopharmacology" Broichhagen, J.; Frank, J.A. ; Trauner, D.Acc. Chem. Res., 2015, 48, 1947-1960. Crystal Structure of (E)-1,2-Bis­(4-bromo-2,6-di­fluoro­phen­yl)diazene" Broichhagen, J.; Woodmansee, D. H.; Trauner, D.; Mayer, P. Acta Crystallographica Section E: Structure Reports Online 2015, 71, o459-o460. "Photoswitchable Fatty Acids Enable Optical Control of TRPV1" Frank, J. A.; Moroni, M.; Moshourab, R.; Sumser, M.; Lewin, G. R.; Trauner, D. Nature Commun. 2015, 6, 7188. "Molecular Aesthetics" Herausgegeben von Peter Weibel und Ljiljana Fruk" (Book Review) Trauner, D. Angew. Chemie Int. Ed. 2015, 54, 7074. "Biomimetic Total Synthesis of Santalin Y" Strych, S.; Journot, G.; Pemberton, R.P. ; Wang, S. C.; Tantillo, D.*, Trauner, D.* Angew. Chem. Int. Ed. 2015, 54, 5079-5083. "AzoCholine Enables Optical Control of Alpha 7 Nicotinic Acetylcholine Receptors in Neural Networks" Damijonaitis, A.; Broichhagen, J.; Urushima, T.; Hüll, K.; Nagpal, J.; Laprell, L.; Schönberger, M.; Woodmansee, David; Rafiq, A.; Sumser, M.; Kummer, W.; Gottschalk, A.; Trauner, D. ACS Chem. Neurosci. 2015, 6, 701-707. "A Red-Shifted Photochromic Sulfonylurea for the Remote Control of Pancreatic Beta Cell Function" Broichhagen, J.; Frank, J. A.; Johnston, N. R.; Mitchell, K.; Smid, K.; Marchetti, P.; Bugliani, M.; Rutter, G. A.; Trauner. D.*; Hodson, D.* Chem. Commun. 2015, 27, 6018- 6021. "Calculated Nuclear Magnetic Resonance Spectra of Polytwistane and Related Hydrocarbon Nanorods" Maryasin, B.; Olbrich, M.; Trauner, D.*; Ochsenfeld, C.* J. Chem. Theory Comput. 2015, 11, 1020-1026. "Synthetic Studies Toward Polytwistane Hydrocarbon Nanorods" Olbrich, M.; Mayer, P.; Trauner, D. J. Org. Chem., 2015, 80, 2042-2055. "Long Wavelength Optical Control of Glutamate Receptor Ion Channels Using a Tetra- Ortho-Substituted Azobenzene Derivative" Rullo, A.; Reiner, A.; Reiter, A.; Trauner, D.; Isacoff, E. Y.; Woolley, G. A. Chem. Commun. 2014, 50, 14613-14615. "Extraction of Photogenerated Electrons and Holes From a COF Integrated Heterojunction" Calik, M.; Auras, F.; Li, Y.; Salonen, L.; Bader, K.; Gill, I.; Handloser, M.; Medina, D.; Dogru, M.; Löbermann, L. M.; Trauner, Hartschuh, A.; D.; Bein, T. J. Am. Chem. Soc. 2014, 136, 51, 17802-17807. "Synthetic Retinal Analogs Modify the Spectral and Kinetic Characteristics of Microbial Rhodopsin Optogenetic Tools" AzimiHashemi, N.; Erbguth, K.; Vogt, A.; Riemensperger, T; Rauch, E.; Woodmansee, D.; Nagpal, J.; Brauner, M.; Sheves, M.; Fiala, A.; Kattner, L.; Trauner, D.; Hegemann, P.; Gottschalk, A.; Liewald, J. F. Nature Commun. 2014, 5, 5810. "Photochemical Formation of Intricarene" Stichnoth, D.; Kölle, P.; Kimbrough, T. J.; Riedle, E.; de Vivie-Riedle, R.; Trauner, D. Nature Commun. 2014, 5, 5597. "Biomimetic Synthesis of the Calcineurin Phosphatase Inhibitor Dibefurin" Ellerbrock, P.; Armanino, N.; Trauner, D. Angew. Chem. Int. Ed. 2014, 53, 13414-13418. "Optical Control of Insulin Release Using a Photoswitchable Sulfonylurea" Broichhagen, J.; Schönberger, M.; Frank, J.; Marchetti, P.; Bugliani, M.; Shapiro, A. M. J.; Trapp, S.; Rutter, G.; Hodson, D. J. *; Trauner, D.* Nature Commun. 2014, 5, 5116, DOI: 10.1038/ncomms6116. "A Zinc Phthalocyanine-Based Periodic Mesoporous Organosilica Exhibiting Charge Transfer to Fullerenes" Auras, F.; Li, Y.; Löbermann, F.; Döblinger, M.; Schuster, J.; Peter, L. M.; Trauner, D.*; Bein, T.* Chem. Eur. J. 2014, 20, 14971-14975. "The in vivo Chemistry of Photoswitched Tethered Ligands" Broichhagen, J.; Trauner, D.Curr. Opin. Chem. Biol. 2014, 21, 121-127. "Total Synthesis of the Proposed Structure of Trichodermatide A" Myers. E.; Herrero- Gómez, E.; Baitinger, I.; Lachs, J.; Mayer, P.; Hanni, M.; Ochsenfeld, C.; Trauner, D.J. Org. Chem. 2014, 79, 9812-9817. 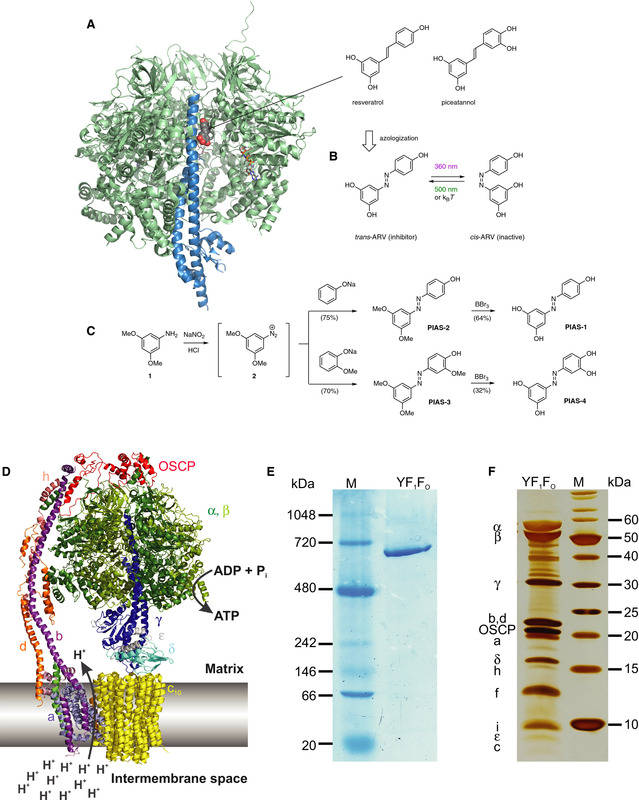 "A Pentasymmetric Open Channel Blocker for Cys-Loop Receptor Channels" Carta, V.; Pangerl, M.; Baur, R.; Puthenkalam, R.; Ernst, M.; Trauner, D.*; Sigel E.* PLoS ONE 2014, DOI: 10.1371/journal.pone.0106688. "Relative Positioning of Classical Benzodiazepines to the γ2‐Subunit of GABA-A Receptors" Middendorp, S. J.; Hurni, E.; Stein, M.; Pangerl, M.; Trauner, D.; Sigel E. ACS Chem. Biol. 2014, 9, 1846-1853. "Controlling Epithelial Sodium Channels With Light Using a Photoswitchable Amiloride" Schönberger, M.; Althaus, M., Fronius, M.; Clauss, W., Trauner, D. Nature Chemistry 2014, 6, 712-719. "The Total Synthesis of (–)-Nitidasin" Hog, D.; Huber. F.; Mayer, P.; Trauner, D. Angew. Chem. Int. Ed. 2014, 53, 8413-8517. "Der Schattensammler. Die allerletzte Autobiografie. By Carl Djerassi (Book Review)"Angew. Chem. Int. Ed. Engl. 2014, 53, 2808. "Development of a New Photochromic Ion Channel Blocker via Azologization of Fomocaine" Schönberger, M.; Damijonaitis, A.; Zhang, Z.; Nagel, D.; Trauner, D. ACS Chem. Neurosci. 2014, 5, 515-518. "Development of an Iron(II)-Catalyzed Aerobic Catechol Cleavage and Biomimetic Synthesis of Betanidin" Guimond, G.; Mayer, P.; Trauner, D. Chem. Eur. J. 2014, 20, 9519-9523. "Optical Control of Acetylcholine Esterase with a Tacrine Photoswitch" Broichhagen, J.; Jurastow, I.; Iwan, K.; Kummer, W.; Trauner, D. Angew. Chem. Int. Ed. 2014, 53, 7657- 7660. "Biomimetic Synthesis of (±)-Merochlorin B" Meier, R.; Strych, S.; Trauner, D. Org. Lett.2014, 16, 2634-2637. "Ligand Photo-Isomerization Triggers Conformational Changes in iGluR2 Ligand Binding Domain" Wolter, T.; Steinbrecher, T.; Trauner, D.; Elstner, M. PLOS One 2014, 9, e97216. "Finding Function and Form (Editorial)” Trauner, D. Nat. Prod. Rep. 2014, 31, 411-413. "A Robust Route towards Functionalized Pyrrolizidines as Precursors for Daphniphyllum Alkaloids" Pangerl, M.; Höhlein, I.; Trauner, D. Synlett 2014, eFirst. "Restoring Visual Function in Blind Mice With a Photoswitch That Exploits Electrophysiological Remodeling of Retinal Ganglion Cells" Tochitsky, I.; Polosukhina, A.; Degtyar, V. E.; Gallerani, N.; Smith, C. M.; Friedman, A.; Van Gelder, R. N.; Trauner, D.; Kaufer, D.; Kramer R. H. Neuron 2014, 81, 800-813. "A Photochromic Agonist of μ-Opioid Receptors" Schönberger, M.; Trauner, D. Angew. Chem. Int. Ed. 2014, 53, 3264-3267. "Polytwistane" Barua, S. R.; Quanz, H.; Olbrich, M.; Schreiner, P. R.; Trauner, D.; Allen, W.D. Chem. Eur. J. 2014, 20, 1638-1645. "A Step Toward Polytwistane: Synthesis and Characterization of C2-Symmetric Tritwistane" Olbrich, M.; Mayer, P.; Trauner, D. Org. Biomol. Chem. 2014, 12, 108-112. "Toward the Total Synthesis of Ansalactam A" Hager, A.; Kuttruff, C. A.; Herrero-Gomez, E.; Trauner, D. Tetrahedron Lett. 2014, 55, 59-62. "Total Synthesis of Sandresolide B and Amphilectolide" Chen, I. T.; Baitinger, I.; Schreyer, L.; Trauner, D. Org. Lett. 2014, 16, 166-169. "A Photoswitchable Neurotransmitter Analogue Bound to its Receptor" Reiter, A.; Skerra, A., Trauner, D.*; Schiefner, A. * Biochemistry 2013, 52, 8972-8974. "Bilirubin in a New Light" Broichhagen, J.; Trauner, D. Angew. Chem. Int. Ed. 2013, 53, 13868-13070. "Challenges and Opportunities in Optochemical Genetics" Isacoff, E.; Kramer, R.; Trauner, D. in Optogenetics, Hegemann, P., Sigrist, S. eds., De Gruyter 2013, pp. 35-46. 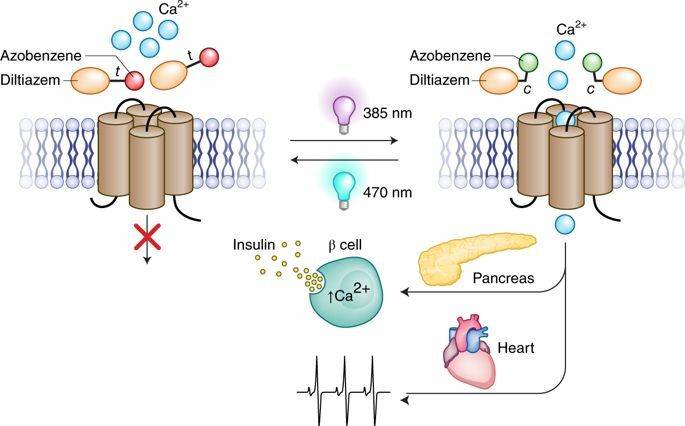 "A Red-Shifted, Fast-Relaxing Azobenzene Photoswitch for Visible Light Control of an Ionotropic Glutamate Receptor" Kienzler, M. A.; Reiner, A.; Trautman, E.; Yoo, S.; Trauner, D.*; Isacoff, E. Y. * J. Am. Chem. Soc. 2013, 135, 17683–17686. "A Photoactive Porphyrin-Based Periodic Mesoporous Organosilica Thin Film" Li, Y.; Auras, F.; Löbermann, F.; Döblinger, M.; Schuster, J.; Peter, L. M.; Trauner, D.*; Bein, T.*J. Am. Chem. Soc. 2013, 135, 18513–18519. "Total Synthesis of Herbicidin C and Aureonuclemycin: Impasses and New Avenues" Hager, D.; Paulitz, C.; Tiebes, J.; Mayer, P.; Trauner, D. J. Org. Chem. 2013, 78, 10784- 10801. "Tetraphenylporphyrin Derivative Specifically Blocks Members of the Voltage-Gated Potassium Channel Subfamily Kv1" Hornig, S.; Ohmert, I.; Trauner, D.; Ader, C.; Baldus, M.; Pongs, O. Channels 2013, 7, 1-10. "Toward the Total Synthesis of Divergolides C and D" Hager, A.; Kuttruff, C. A.; Hager, D.; Terwilliger, D. W.; Trauner, D. Synlett 2013, 24, 1915-1920. "Intramolecular Vinyl Quinone Diels–Alder Reactions: Asymmetric Entry to the Cordiachrome Core and Synthesis of (−)-Isoglaziovianol" Löbermann, F.; Weisheit, L.; Trauner, D. Org. Lett. 2013, 15, 4324-4326. "Biomimetic Synthesis of Santalin A, B and Santarubin A, B, the Major Colorants of Red Sandalwood" Strych, S.; Trauner, D. Angew. Chem. Int. Ed. 2013, 52, 9509-9512. "Studies toward the Biomimetic Total Synthesis of (–)-PF-1018" Webster, R.; Gaspar, B.; Mayer, P.; Trauner, D. Org. Lett. 2013, 15, 1866-1869. "Optical Control of Metabotropic Glutamate Receptors" Levitz, J.; Pantoja, C.; Gaub, B; Janovjak, H.; Reiner, A.; Hoagland, A.; Schoppik, D.; Kane, B.; Stawski, P.; Schier, A. F.; Trauner, D.*; Isacoff, E. Y. * Nat. Neurosci. 2013, 16, 507-516. Optical Control of Calcium-Regulated Exocytosis" Izquierdo, M., Trauner, D., Llobet, A., Gorostiza, P. Biochim. Biophys. Acta 2013, 1830, 2853–2860. "Characterization of a Diffusible Signaling Factor from Xylella Fastidiosa" Beaulieu, E. D.; Ionescu, M.; Chaterjee, S.; Yokota, K.; Trauner, D.; Lindow, S. mBio 2013, 4, e00539-12. "Optical Modulation of Neurotransmission Using Calcium Photocurrents Through the Ion Channel LiGluR" Izquierdo-Serra, M.; Trauner, D.; Lobet, A.; Gorostiza, P. Frontiers. Mol. Neurosci. 2013, 6, doi: 10.3389/fnmol.2013.00003. "A 1H-NMR Assay for Measuring the Photostationary states of Photoswitchable Ligands" Banghart, M., Trauner, D. Methods Mol. Biol. 2013, 995, 105-120. "Mode of Cell Death Induction by Pharmacological Vacuolar H+-ATPase (V-ATPase) Inhibition" Von Schwarzenberg, K.; Wiedmann, R. M.; Zahler, S.; Trauner, D.; Vollmar, A. M. J. Biol. Chem. 2013, 288, 1385-1396. "The V-ATPase-inhibitor Archazolid Abrogates Tumor Metastasis via Inhibition of Endocytic Activation of the Rho-GTPase Rac1" Wiedmann, R. M.; von Schwarzenberg, K.; Palamidessi, A.; Schreiner, L.; Kubisch, R.; Liebl, J.; Schempp, C.; Trauner, D.; Vereb, G.; Zahler, S.; Wagner, E. ; Muller, R. ; Scita, G.; Vollmar, A. M. Cancer Res. 2012, 72, 5976- 5987. "Label-Free Microscale Thermophoresis Discriminates Sites and Affinity of Protein–Ligand Binding" Seidel, S. A.; Wienken, C. J.; Geissler, S.; Jerabek-Willemsen, M.; Duhr, S.; Reiter, A.; Trauner, D.; Braun, D.; Baaske, P. Angew. Chem. Int. Ed. 2012, 51, 10656- 10659. "The Crystal Structure of the Dess-Marin Periodinane" Schröckeneder, A., Stichnoth, D., Mayer, P.; Trauner, D. Beilstein J. Org. Chem., 2012, 8, 1523-1527. "Molecular Switches and Cages” Trauner, D. Beilstein J. Org. Chem, 2012, 8, 870-871. "Azo-Propofols: Photochromic Potentiators of GABAA Receptors" Stein, M.; Middendorp, S. J.; Carta, V.; Pejo, E.; Raines, D. E.; Forman, S. A.; Sigel, E.; Trauner, D. Angew. Chem. Int. Ed. 2012, 42, 10500-10504. "Evolution of a Synthetic Strategy for the Variecolortides" Kuttruff, C.; Mayer, P.; Trauner, D. Eur. J. Org. Chem. 2012, 27, 5151-5161. "Photochemical Restoration of Visual Responses in Blind Mice" Polosukhina, A.; Litt, J.; Tochitsky, I.; Nemargut, J.; Sychev, Y.; De Kouchkovsky, I.; Huang, T.; Borges, K.; Trauner, D.; Van Gelder, R. N.; Kramer R. H. Neuron 2012, 75, 271-282. Highlighted in Nature 488, 8 (2012). Highlighted in C&EN 31, 12 (2012). Exploring the Pharmacology and Action Spectra of Photochromic Open Channel Blockers" Fehrentz, T.; C.; Huber, F.M.E. ; Kienzler, M.; Mayer, P.; Trauner, D. ChemBioChem2012, 13, 1746-1749. "A Unified Approach to trans-Hydrindane Sesterterpenoids" Hog, D. T., Mayer, P., Trauner, D. J. Org. Chem. 2012, 77, 5838-5843. "Synthetic Approaches Toward Sesterterpenoids" Hog, D. T.; Webster, R.; Trauner, D. Nat. Prod. Rep. 2012, 29, 752-779. "Stereoselective Total Syntheses of Herbicidin C and Aureonuclemycin Through Late Stage Glycosylation" Hager, D.; Mayer. P.; Trauner, D. Angew. Chem. Int. Ed. 2012, 51,5625-6528. “A Total Synthesis Prompts the Structure Revision of Haouamine B” Matveenko, M., Liang, G. Lauterwasser, E., Trauner, D. J. Am. Chem. Soc. 2012, 134, 9291–9295. "A Photochromic Agonist of AMPA Receptors" Stawski, P.; Sumser, M.; Trauner, D.Angew. Chem. Int. Ed. 2012, 51, 5748-5751. "Rapid Optical Control of Nociception With an Ion Channel Photoswitch" Mourot, A.; Fehrentz, T., Bautista, D., Trauner, D.*, Kramer, R.*, Nature Methods, 2012, 9, 396-402. "An Approach to Aminonaphthoquinone Ansamycins Using a Modified Danishefsky Diene" Kuttruff, C. A., Geiger, S., Cakmak, M., Mayer, P., Trauner, D., Org. Lett. 2012, 14, 1070- 1073. "Total Synthesis of Exiguamines A and B Inspired by Catecholamine Chemistry" Sofiyev, V., Lumb, J.-P., Volgraf, M., Trauner, D., Chem. Eur. J., 2012, 18, 4999-5005. "Optical Control of Genetically Engineered Nicotinic Acetyl Choline Receptors" Tochitsky, I.; Banghart M.R. ; Mourot, A.; Zhao, J.Z. ; Gaub, B.; Kramer, R.; Trauner, D., Nature Chemistry, 2012, 4, 105-111. Optochemical Genetics" Fehrentz, T.; Schönberger, M.; Trauner, D., Angew. Chem. Int. Ed. 2011, 50, 12156-12182. "LiGluR Restores Visual Responses in Rodent Models of Inherited Blindness" Caporale, N.; Kolstad, K. D.; Lee, T.; Tochitsky, I.; Dalkara, D.; Trauner, D.; Kramer, R.; Dan, Y.; Isacoff E. Y.; Flannery, J. G. Molecular Therapy 2011, 19, 1212–1219. "Electrocyclic Reactions" Gaspar B., Trauner, D. in Science of Synthesis, Stereoselective Synthesis 3: Stereoselective Pericyclic Reactions, Cross Coupling, C―H and C―X Activation, 2011, Thieme: Stuttgart & New York, pp. 383-402. "Switchable Proteins and Channels" Volgraf, M., Banghart, M., Trauner, D. in Molecular Switches, Second Edition. 2011, Vol. 2, Feringa, B. ed., Wiley-VCH: Weinheim, pp. 563- 593. "Tuning Photochromic Ion Channel Blockers" Mourot, A.; Kienzler, M. A.; Banghart, M. R.; Fehrentz, T.; Huber, F. M. E.; Stein, M.; Kramer, R. H.; Trauner, D. ACS Chemical Neuroscience 2011, 2, 536-543. "An Efficient Synthesis of Loline Alkaloids" Cakmak, M.; Mayer, P.; Trauner, D Nat. Chem.2011, 3, 543-545. 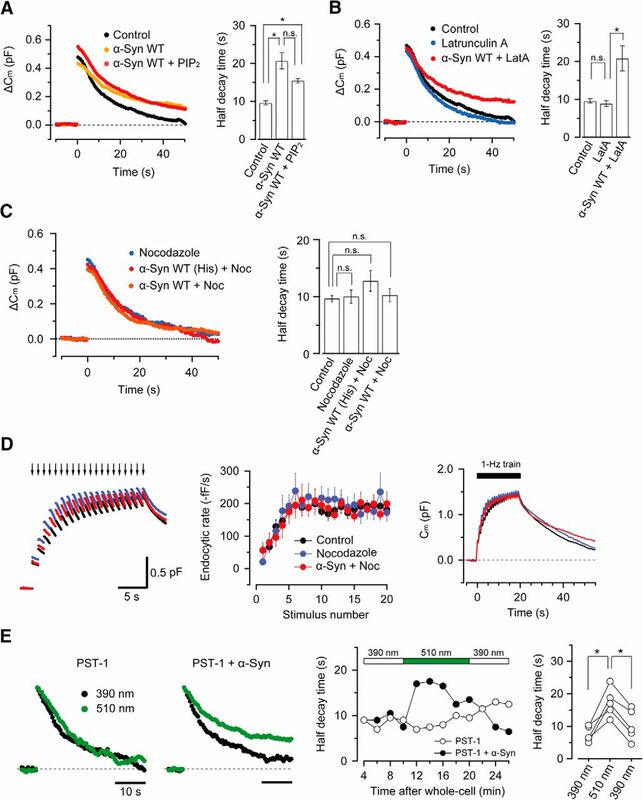 "Optogenetic Photochemical Control of Designer K+ Channels in Mammalian Neurons" Fortin, D. L.; Dunn, T. W.; Fedorchak, A; Allen, D.; Montpetit, R.; Banghart, M. R.; Trauner, D.; Adelman, J. P.; Kramer, R. H. J. Neurophys. 2011, 106, 488-496. "Synthetic Studies Toward A-74528" Hager, A.; Mazunin, D.; Mayer, P.; Trauner, D. Org Lett. 2011, 13, 1386–1389. "Crocipodin, a Benzotropolone Pigment From the Mushroom Leccinum Crocipodium (Boletales) " Kerschensteiner, L.; Löbermann, F.; Steglich, W.; Trauner, D. Tetrahedron 2011, 67, 1536-1539. "Concise Total Synthesis of Variecolortide A and B Through an Unusual Hetero Diels- Alder Reaction" Kuttruff, C. A.; Zipse, H.; Trauner, D. Angew. Chem. Int. Ed. 2011 50, 1402-1405. "Toward the Total Synthesis of Maoecrystal V: Establishment of Contiguous Quaternary Stereocenters" Baitinger, I. ; Mayer, P.; Trauner, D. Org. Lett. 2010, 12, 5656-5659. "Theoretical Investigation of the Rubicordifolin Cascade" Lumb, J.-P.; Krinsky, J.; Trauner, D. Org. Lett. 2010, 22, 5162-5165. "Structural Basis of Open Channel Block in a Prokaryotic Pentameric Ligand-gated Ion Channel" Hilf, R. J. C.; Bertozzi, C.; Zimmermann, I.; Reiter, A.; Trauner, D.; Dutzler, R.Nature Struct. Mol. Biol, 2010, 17, 1330-1337. "Pharmacology of Ionotropic Glutamate Receptors: A Structural Perspective" Stawski P., Janovjak H., Trauner D. Bioorg Med Chem. 2010, 18, 7759-7772. "A Light-gated, Potassium-selective Glutamate Receptor for the Optical Inhibition of Neuronal Firing" Janovjak, H.; Szobota, S.; Wyart, C.; Trauner, D.; Isacoff, E. Y. Nature Neurosci. 2010, 13, 1027–1032. "A Signal Processing Analysis of Purkinje Cells In Vitro" Abrams, Z. R.; Warrier, A.; Trauner, D.; Zhang, X. Frontiers in Neural Circuits 2010, 4, 1–13. "Biomimetic Synthesis of (–)-Pycnanthuquinone C via Vinyl Quinone Diels-Alder Reaction" Löbermann, F.; Mayer, P.; Trauner, D. Angew. Chem. Int. Ed. 2010, 49, 6199–6202. "Total Synthesis of Newbouldine via Reductive N-N Bond Formation" Pangerl, M.; Chambers C. H.; Trauner, D. Tetrahedron 2010, 66, 6626-6631. "On the Development of Catalytic Carba-6π Electrocyclizations" Bishop, L. M.; Roberson, R. E.; Bergman, R. G.; Trauner, D. Synthesis 2010, 13, 2233–2244. "Total Synthesis of Coralloidolides A, B, C, and E" Kimbrough, T.J.; Roethle P.A. ; Mayer, P.; Trauner, D., Angew. Chem. Int. Ed. 2010, 49, 2619-2621. "Photochromic Blockers of Voltage-Gated Potassium Channels" Banghart, M. R., Mourot, A.; Fortin, D. L.; Dunn, Kramer, R. H.; Trauner, D., Angew. Chem. Int. Ed. 2009, 48, 9097– 9101. "New Photochemical Tools for Controlling Neuronal Activity" Kramer, R.H.; Fortin, D.L. ; Trauner, D. Curr. Opin. Neurobiol. 2009, 19, 1-9. "Optogenetic Identification of Behavioral Module in the Vertebrate Spinal Cord" Wyart, C.; Del Bene, F.; Warp, E.; Scott, E. K.; Trauner, D., Baier, H.; Isacoff, E.Y., Nature, 2009,461, 407-410. "Calixarene-Based Conical-Shaped Ligands for Voltage Dependent Potassium Channels" Martos, V.; Bell, S. C.; Santos, E.; Isacoff, E.Y. ; Trauner, D.*; de Mendoza, J.,Proc. Natl. Acad. Sci. USA 2009, 106, 10482-10486. "Nanosculpting Reversed Wavelength Sensitivity Into a Photoswitchable iGluR" Numano, R.; Szobota, S.; Gorostiza, P.; Volgraf, M.; Trauner, D.*; Isacoff, E.Y., Proc. Natl. Acad. Sci. USA 2009, 106, 6814-6819. "Total Synthesis of (±)-Rhazinal Using Palladium-Catalyzed Cyclizations" Bowie, A.L. ; Hughes C.H. ; Trauner, D., J. Org. Chem., 2009, 74, 1581-1586. "Catalysis of 6p Electrocyclizations" Bishop, L. M.; Barbarow, J. E.; Bergman, R. G.; Trauner, D., Angew. Chem. Int. Ed. 2008, 47, 8100-8103. "Biomimetic Synthesis of the IDO Inhibitors Exiguamine A and B" Volgraf, M.; Lumb, J.-P., Brastianos, H.C.; Carr, G.; Chung, M.K.W. ; Münzel, M.; Mauk, A.G.; Andersen, R.J.; Trauner, D., Nature Chem. Biol. 2008, 4, 535-537. "Vinyl Quinones as Diels-Alder Dienes: Total Synthesis of (–)-Halenaquinone” Kienzler, M.A., Sueseno, S.; Trauner, D. J. Am. Chem. Soc. 2008, 130, 8604-8605. "Introduction: Chemical Approaches to Neurobiology" Trauner, D., Chem. Rev. 2008, 105, 1499-1500. "Mechanistic Investigations Into the Acid-Catalyzed Cyclization of a Vinyl Ortho-Quinone Methide" Bishop, L.M. ; Houk, K.N. ; Winkler, M.; Bergman, R.G. ; Trauner, D. Chem. Eur. J., 2008, 14, 5405-5408. "A Structural Link Between Inactivation and Block of a K+ Channel" Ader, C.; Schneider, R.; Hornig, S.; Velisetty, P.; Wilson; E. M.; Lange, A.; Giller, K.; Ohmert, I.; Martin- Eauclaire, M.-F.; Trauner, D.; Becker, S.; Pongs, O.; Baldus, M. Nature Struct. Mol. Biol.,2008, 15, 605-612. "The Chemistry of Marine Furanocembranoids, Pseudopteranes, Gersolanes, and Related Natural Products." Roethle, P. A.; Trauner, D. Nat. Prod. Rep. 2008, 25, 298-317. "Photochemical Control of Endogenous Ion Channels and Cellular Excitability" Fortin, D.L. ; Banghart, M.R., Dunn, T.D. ; Borges, K.; Wagnaar, D.A. ; Gaudry, Q.; Karakossian, M.; Otis, T. W.; Kristan, W. B.; Trauner, D.*; Kramer, R. H.* Nature Meth. 2008, 5, 331-338. "Conjugate Addition of Allyl Stannanes with Concomitant Triflation" Beaulieu, E. D.; Voss, L.; Trauner, D. Org. Lett. 2008, 10, 869-872. "Biomimetic Synthesis of the Shimalactones" Sofiyev, V.; Navarro, G. Trauner, D. Org. Lett. 2008, 10, 149-152. "Regulating Enzymatic Activity With a Photoswitchable Affinity Label " Harvey, J. Trauner, D. ChemBioChem, 2008, 9, 191-193. "Enolates" Trauner, D. in Science of Synthesis, Houben-Weyl, Methods of Molecular Transformations, Thieme: Stuttgart & New York, 2008, Vol. 32, pp. 547-588. "Enols" Trauner, D. in Science of Synthesis, Houben-Weyl, Methods of Molecular Transformations, Thieme: Stuttgart & New York, 2008, Vol. 32, pp. 533-545. "All Optical Interface for Parallel, Remote, and Spatiotemporal Control of Neuronal Activity" Wang, S.; Szobota, S.; Wang, Y.; Volgraf, M.; Liu, Z.; Sun, C.; Trauner, D.; Isacoff, E. Y.; Zhang, X. Nano Lett. 2007, 7, 3859-3863. "Photomechanical Switching of Individual Engineered Molecules at a Metallic Surface" Comstock, M.J.; Levy, N.; Kirakosian, A.; Cho, J.; Lauterwasser, F.; Harvey, J.H. ; Strubbe, D.A. ; Fréchet, J.M.J. ; Trauner, D.; Louie, S.G.; Crommie, M.F. Phys. Chem Rev. Lett.,2007, 99, 038301. "Total Synthesis of (–)-Archazolid B" Roethle, P.A. ; Chen, I.T. ; Trauner, D. J. Am. Chem. Soc. 2007, 129, 8960-8961. "Remote Control of Neuronal Activity With a Light-Gated Glutamate Receptor" Szobota, S.; Gorostiza, P.; Volgraf, M.; Fortin, D.; Tulyathan, O.; Kolstad, K.; Numano, R.; Aaron, H.; Ruzin, S.; Flannery J.; Kramer, R.H.; Baier, H.; Trauner, D.; Isacoff, E.Y. Neuron 2007,54, 535-545. "Total Synthesis of Smenochromene B Through Ring Contraction" Rosa, C.P. ; Kienzler, M.; Olson, B.S. ; Liang, G.; Trauner, D. Tetrahedron 2007, 63, 6529-6534. "Mechanisms of Photoswitch Conjugation and Light Activation of an Ionotropic Glutamate Receptor" Gorostiza, P.; Volgraf, M.; Numano, R.; Szobota, S.; Trauner, D.*; Isacoff, E.Y.Proc. Natl. Acad. Sci. USA 2007, 104, 10865-10870. "Synthesis of Functionalized Azobenzenes Through Cross-Coupling With Organotrifluoroborates" Harvey, J.H. ; Butler, B.K. ; Trauner, D. Tetrahedron Lett. 2007, 48, 1661-1664. "Concise Synthesis of the Bacterial DNA Primase Inhibitor (+)-Sch 642305" Wilson, E. M.; Trauner D. Org. Lett. 2007, 9, 1327-1329. "Reversibly Caged Glutamate: A Photochromic Agonist of Ionotropic Glutamate Receptors" Volgraf, M.; Gorostiza, P.; Szobota, S.; Helix, M.R. ; Isacoff, E.Y. ; Trauner, D. J. Am. Chem. Soc. 2007, 129, 260-261. "The Meerwein-Eschenmoser-Claisen Rearrangement" Gradl, S.N. ; Trauner D. in Claisen Rearrangements, Hiersemann, M.; Nubbemeyer, U. eds., Chapter 7; Weinheim: Wiley- VCH 2007. "Total Synthesis of (–)-Heptemerone B and (–)-Guanacastepene E " Miller, A.K. ; Hughes, C.H. ; Kennedy-Smith, J.J.; Gradl, S.N. ; Trauner, D. J. Am. Chem. Soc. 2006, 128, 17057- 17062. "Engineering Light-Gated Ion Channels" Banghart, M.R. ; Volgraf, M.; Trauner, D.Biochemistry 2006, 45, 15129-15141. "Exploring Biosynthetic Relationships Among Furanocembranoids: Synthesis of (–)- Bipinnatin J, (+)-Intricarene, (+)-Rubifolide, and (+)-Isoepilophodione B" Roethle, P. A.; Hernandez, P. T.; Trauner, D. Org. Lett. 2006, 8, 5901-5904. "Development of a Friedel-Crafts Triflation" Grundl, M.A. ; Kaster, A.; Downs-Beaulieu, E.; Trauner, D. Org. Lett. 2006, 8, 5429-5432. "Photochemical Origin of SNF4435C/D and Formation of Orinocin through ‘Polyene Splicing" Müller, M; Kusebauch, B.; Liang, G.; Beaudry, C.M. ; Trauner, D.; Hertweck. C. Angew. Chem. Int. Ed. 2006, 45, 7835-7838. "Mapping the Chemistry of Highly Unsaturated Pyrone Polyketides" Miller, A.K. ; Trauner, D., Synlett 2006, 14, 2295-2316. 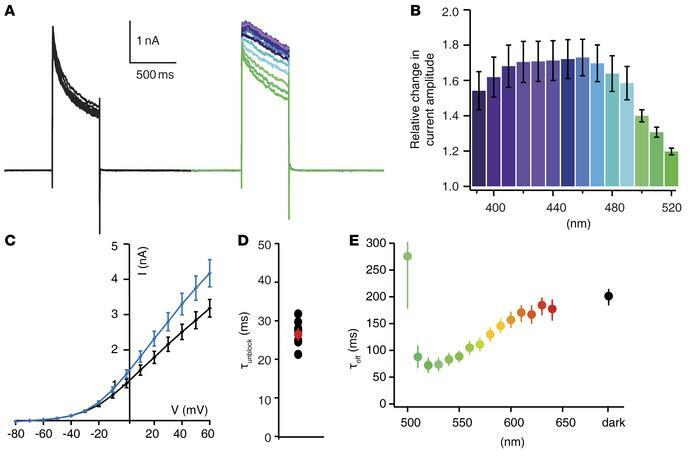 "Light-Induced Depolarization of Neurons Using a Modified Shaker K Channel and a Molecular Photoswitch" Chambers, J. J.; Banghart, M. R.; Trauner, D.; Kramer, R. H. J. Neurophysiol. 2006, 96, 2792-2796. "Synthesis of Taiwaniaquinoids Via Nazarov Triflation" Liang, G.; Xu, Y.; Seiple, I.; Trauner, D. J. Am. Chem. Soc. 2006, 128, 11022-11023. "Expedient Synthesis of (±)-Bipinnatin J" Roethle, P.A. ; Trauner, D. Org. Lett. 2006, 8,345-347. "Synthetic Studies Toward the Haouamines" Grundl, M.A. : Trauner, D. Org. Lett. 2006, 8,23-25. "Allosteric Control of an Ionotropic Glutamate Receptor with an Optical Switch" Volgraf, M.; Gorostiza, P.; Numano, R.; Kramer R. H.; Isacoff. E.; Trauner, D. Nature Chem. Biol.2006, 2, 47-52. "Pericyclic Reactions of Prenylated Naphthoquinones: Biomimetic Syntheses of Mollugin and Microphyllaquinone" Lumb. J.P.; Trauner, D. Org. Lett. 2005, 7, 5865-5868. "Photochemical Tools for Remote-Control of Ion Channels in Excitable Cells" Chambers, J.J.; Trauner, D. , Kramer, R.H. Nature Chem. Biol. 2005, 1, 360-365. "Biosynthetic and Biomimetic Electrocyclizations" Beaudry, C.M. ; Malerich, J.P.; Trauner, D. Chem. Rev. 2005, 105, 4757-4778. "Concise Synthesis of (±)-Rhazinilam Through Direct Coupling" Bowie, A.L. ; Hughes C.H. ; Trauner, D. Org. Lett. 2005, 7, 5207-5209. 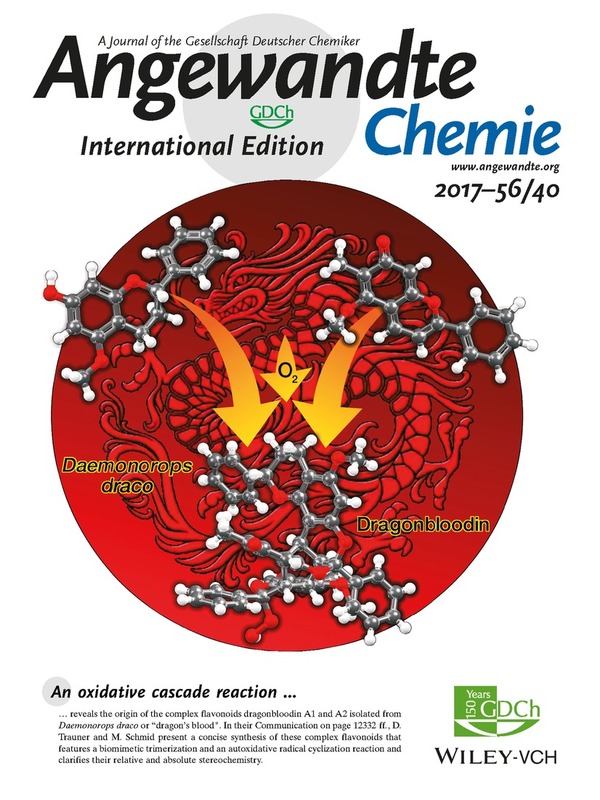 "Photosensitized Conversion of 9,10-Deoxytridachione to Photodeoxytridachione" Zuidema, D.R. ; Miller, A.K. ; Trauner D.; Jones P.B. Org. Lett. 2005, 7, 4959-4962. "Total Synthesis of (–)-SNF4435 C and (+)-SNF4435 D" Beaudry, C.M. ; Trauner, D. Org. Lett. 2005, 7, 4475-4477. "A Glimpse at the Grail" Trauner, D. Nature Chem. Biol. 2005, 1, 189-191. "Infrared Hole Burning and Conformational Change in a Borane-Ammonia Complex" Endicott, C.A. ; Strauss, H.L. ; Hughes, C.C; Trauner, D.; J. Phys. Chem. B 2005, 109, 7714-7717. "An Electrochemical Approach to the Guanacastepenes" Hughes, C.C. ; Trauner, D. Org. Lett. 2005, 7, 3425-3428. "Mining the T etraene Manifold: T otal Synthesis of Complex Pyrones from Placobranchus ocellatus" Miller, A.K. ; Trauner, D. Angew. Chem. Int. Ed. 2005, 44, 4602-4606. "Biomimetic Synthesis of Elysiapyrones A and B" Barbarow, J. E.; Miller, A. K.; Trauner, D.Org. Lett. 2005, 7, 2901-2903. "Stereoselective Synthesis of the Bioactive Polypropionates Aureothin, N- Acetylaureothamine and Aureonitrile" Liang, G.; Seiple I. B.; Trauner, D. Org. Lett. 2005,7, 2837-2839. "Rational Design of a Chiral Pd(0)-Olefin Complex of Unprecedented Stability" Grundl, M.; Kennedy-Smith, J.J.; Trauner, D. Organometallics, 2005, 24, 2831-2833. "Biomimetic Synthesis of Antimalarial Naphthoquinones" Malerich, J.P.; Maimone, T.J.; Elliott, G.I. ; Trauner D. J. Am. Chem. Soc. 2005, 127, 6276-6283. "Dienophile Twisting Causes Rate Enhancements in Intramolecular Diels-Alder Cycloadditions: A DFT Study" Khuong, K.S. ; Beaudry, C.; Trauner, D.*; Houk, K.N. J. Am. Chem. Soc. 2005, 127, 3688-3689. "Stereoselective Synthesis of the Cyercene A and Placidenes" Liang, G.; Miller, A.K. ; Trauner, D. Org. Lett. 2005, 7, 819-821. "Biomimetic Synthesis and Structure Elucidation of Rubicordifolin, a Cytotoxic Natural Product from Rubia cordifolia" Lumb, J.P.; Trauner, D. J. Am. Chem. Soc. 2005, 127, 2870-2871. "Concise Synthesis of (±)-Smenochromene D (Likonide B)" Olson, B.S. ; Trauner D.Synlett 2005, 700-702. "Biomimetic Synthesis of Natural Products Isolated from Bignoniaceae" Malerich, J.; Trauner D. in Strategies and Tactics in Organic Synthesis, 2004, Vol. 5, Harmata, M. ed., Elsevier: Amsterdam & New York, pp. 417-436. "Light-Activated Ion Channels for Remote Control of Neuronal Firing" Banghart, M.R., Borges, K.; Isacoff. E., Trauner, D.*; Kramer, R.H.* Nature Neurosci. 2004, 7, 1381-1386. "Palladium-Catalyzed Couplings to Nucleophilic Heteroarenes: The Total Synthesis of (–)- Frondosin B" Hughes, C.C. ; Trauner, D. Tetrahedron 2004, 60, 9675-9686. "Enantioselective Nazarov Cyclizations Reactions through Catalytic Asymmetric Proton Transfer" Liang, G.; Trauner D. J. Am. Chem. Soc. 2004, 126, 9544-9545. "The Total Synthesis of (–)-Crispatene" Miller, A.K. ; Byun, D.H.; Beaudry, C.M. ; Trauner, D. Proc. Natl. Acad. Sci. USA 2004, 101, 12019-12023. "Metabolic Modulation of Potassium Channels" Trauner, D.; Kramer, R.H. Science STKE, 2004 , 233, pe20. "Efficient Nazarov Cyclizations of 2-Alkoxy-1,4-pentadien-ones" Liang, G.; Gradl, S.N. ; Trauner, D. Org. Lett. 2003, 5, 4931-4934. "Potassium Channels: Symmetric, Selective and Sensitive" Trauner, D. Angew. Chem. Int. Ed. 2003, 42, 5671-5675. "Direct Catalytic Asymmetric Amination of Aldehydes: Synthesis of Evans Oxazolidinones and a-Amino Acids" Hughes, C.C. ; Trauner D. Chemtracts 2003, 16, 511-517. "Synthetic Studies Toward the Guanacastepenes" Hughes, C.C. ; Kennedy-Smith, J.J.; Trauner D. Org. Lett. 2003, 5, 4113-4115. "Protein Surface Recognition by Rational Design: Nanomolar Ligands for Potassium Channels" Gradl, S.N. ; Felix, J.P., Isacoff, U.; Garcia, M.L. ; Trauner, D. J. Am. Chem. Soc.2003, 125, 12668-12669. "Reductive Cyclization of d-Hydroxy Nitriles: A New Synthesis of Glycosylamines" Dorsey, A.D.; Barbarow, J.E. ; Trauner, D. Org. Lett. 2003, 5, 3237-3239. "Biomimetic Synthesis of Pinnatal and Sterekunthal A" Malerich, J.P.; Trauner D. J. Am. Chem. Soc., 2003, 125, 9554-9555. "Intramolecular Diels-Alder Reactions of 5-Vinyl-1,3-cyclohexadienes" Ng. S.M. ; Beaudry, C.M. ; Trauner, D. Org. Lett. 2003, 5, 1701-1704. "Development of Novel Lewis Acid Catalyzed Cycloisomerizations: Synthesis of Bicyclo[3.1.0] hexenes and Cyclopentenones" Miller, A.K. ; Banghart, M.R. ; Beaudry, C.M. ; Suh, J.K.; Trauner, D. Tetrahedron 2003, 59, 8919-8930. "Total Synthesis of (±)-Photodeoxytridachione Through a Lewis Acid Catalyzed Cyclization" Miller, A. K.; Trauner, D. Angew. Chem. Int. Ed. 2003, 42, 549-552. "Enzymatic Desymmetrization of a Centrosymmetric Diacetate" Böhm, C.; Austin, W. F.; Trauner, D. Tetrahedron Asymmetry, 2003, 14, 71-74. "Borane-Ammonia Complexes Stabilized by Hydrogen Bonding" Hughes, C.C. ; Scharn, D.; Mulzer, J.; Trauner D. Org. Lett. 2002, 4, 4109-4111. "The Total Synthesis of (–)-Amathaspiramide F" Hughes, C.C. ; Trauner D. Angew. Chem. Int. Ed. 2002, 41, 4556-4559. "Synthetic Studies Toward SNF4435 C and SNF4435 D" Beaudry, C.M. ; Trauner, D. Org. Lett. 2002, 4, 2221-2224. "Concise Total Synthesis of (–)-Frondosin B Using a Novel Palladium Catalyzed Cyclization" Hughes, C.C. ; Trauner, D. Angew. Chem. Int. Ed. 2002, 41, 1569-1572. "A Practical Variant of the Claisen-Eschenmoser Rearrangement: Synthesis of Un- saturated Morpholine Amides" Gradl, S.N., Kennedy-Smith, J.J.; Kim, J.; Trauner, D. Synlett 2002, 411-414. "Concise Stereoselective Routes to Advanced Intermediates Related to Natural and Unnatural Pinnaic Acid". Carson, M.W. ; Hentemann, M.F. ; Kim, G.; Trauner, D.; Danishefsky, S.J. Angew. Chem. Int. Ed. 2001, 40, 4450-4552. "The B-Alkyl Suzuki-Miyaura Cross-Coupling Reaction: Development, Mechanistic Study and Applications in Natural Product Synthesis". Chemler, S.R. ; Trauner, D.; Danishefsky, S.J. Angew. Chem. Int. Ed. 2001, 40, 4544-4568. "On the Conformations of Halichlorine and the Pinnaic Acids: Nitrogen Inversion as a Possible Determinant of Biological Profile." Trauner, D.; Danishefsky, S.J. Helv. Chim. Acta 2000, 83, 2344-2351. "Synthesis of Immunomodulatory Marine Natural Products". Danishefsky, S. J.; Inoue, M.; Trauner, D. in "The Role of Natural Products in Drug Discovery", Ernst Schering Research Foundation (ESRF) Workshop 32, Springer: Heidelberg & New York, 2000, pp. 1-24. "Morphine Synthesis and Biosynthesis - an Update". Novak, B.H. ; Hudlicky, T.; Reed, J.W. ; Mulzer, J.; Trauner, D. Curr. Org. Chem. 2000, 4, 343-362. "Total Synthesis of (+)-Halichlorine, an Inhibitor of VCAM-1 Expression" Trauner, D.; Schwarz, J.B.; Danishefsky, S.J. Angew. Chem. Int. Ed. 1999, 38, 3542-3545. "Studies Towards the Total Synthesis of Halichlorine: Asymmetric Synthesis of the Spiroquinolizidine Subunit" Trauner, D.; Danishefsky, S.J. Tetrahedron Lett. 1999, 40, 6513-6516. Insight into the Mechanism of the Saegusa Oxidation: Isolation of a Novel Palladium(0) Tetraolefin Complex" Porth, S.; Bats, J.W. ; Trauner, D.; Giester, G.; Mulzer, J. Angew. Chem. Int. Ed. 1999, 38, 2015-2016. "Practical Synthesis of (–)-Morphine". Mulzer, J.; Trauner. D. Chirality 1999, 11, 475-482. "About the Use of Molecular Workbenches and Platforms in Organic Synthesis" Mulzer, J.; Schein, K.; Böhm, I.; Trauner, D. Pure Appl. Chem. 1998, 70, 1487-1493. "Synthesis of Enantiomerically Pure Morphine Alkaloids: The Hydrophenanthrene Route" Trauner, D.; Bats, J.W. ; Werner, A.; Mulzer, J. J. Org. Chem., 1998, 63, 5908-5918. "New Ventures in the Construction of Complex Heterocycles: Synthesis of Morphine- and Hasubanan Alkaloids" Trauner, D.; Porth, S.; Bats, J.W. ; Giester, G.; Mulzer, J. Synthesis1998, 653-664. "The Phenanthrenone Approach to Opium Alkaloids: Formal Total Synthesis of Morphine by Sigmatropic Rearrangement" Mulzer, J.; Bats, J.W. ; List, B.; Opatz, T.; Trauner, D.Synlett 1997, 441-444. "Formal Total Synthesis of (–)-Morphine by Cuprate Conjugate Addition" Mulzer, J.; Dürner, G.; Trauner, D. Angew. Chem. Int. Ed. 1996, 35, 2830-2832. "StereoselectiveInsertion of Ketenes into O,O-Acetals: Synthesis of b-Alkoxy Esters and 1,4-dioxepanones" Mulzer, J.; Trauner, D.; Bats, J.W. Angew. Chem.Int. Ed. 1996, 35, 1970-1972.